Today our Catholic young people and leaders are on the front line when it comes to winning back and encouraging teens and young adults to serve in the wider Church. 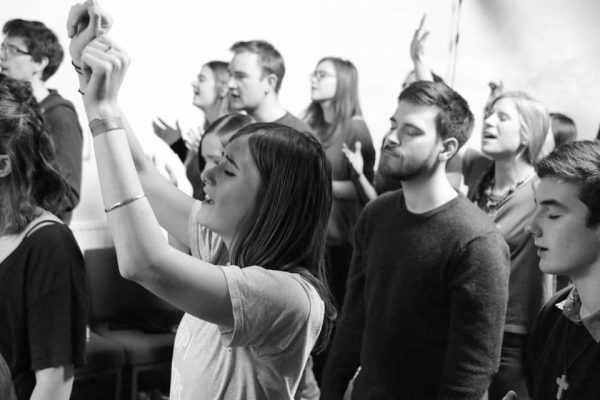 We look to them to provide an outreach, to get them excited about faith and Jesus and in turn encouraging them to get involved in the wider Church. The Open Cloister’s ministry is especially focused on providing the space and time for youth and young adults to retreat in a welcoming place where they can step away from everyday life and explore their spirituality, with the guidance of the Benedictine monastic community at Worth Abbey in a calm, supportive and peaceful environment. We aim to help them find the answers to the questions they may have, to discern their faith by providing them with the time and space for peaceful, individual reflection in a secure, faith-focused and loving environment. Why not bring your own group here to Worth Abbey whilst we facilitate your time here. The Wellspring is a Catholic community seeking to live the Gospel of Christ, with the Rule of St Benedict as their guide. 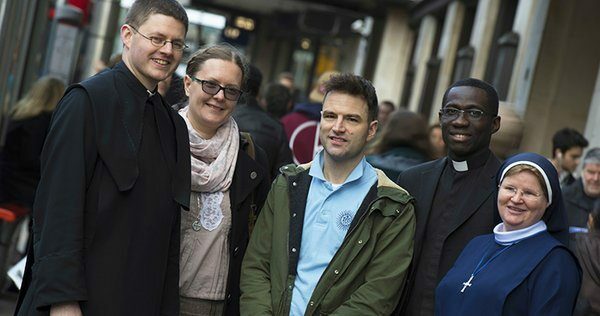 Living a common life of prayer and service, they seek to witness to the Kingdom of God in the city of Brighton, welcoming others into encounter with Christ, and reaching out to share the presence of Christ in the wider community. See their website. Joel’s Bar is the youth conference of Celebrate – Catholic Charismatic events that happen throughout the year. 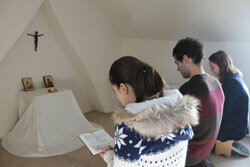 The youth group hold their conference here at Worth Abbey each year during the Easter Triduum. See their website.